Welcome to My Wikidot site » Microsoft Windows' How to/Tutorial/Guideline » Run multiple instance of yahoo messenger at a time! 1. 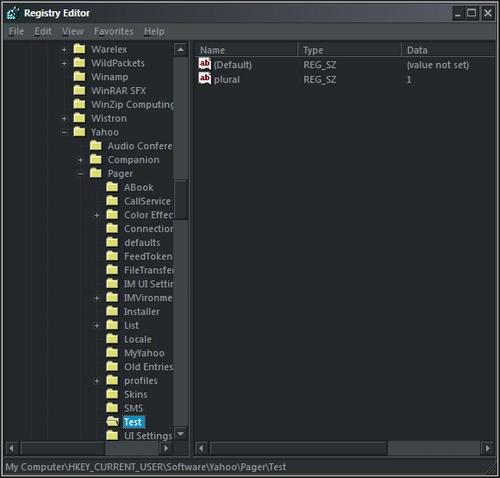 Open Registry Editor (RegEdit.exe) by goto Start>Run and type "regedit" without quotes. 3. Create a new string value (REG_SZ) by right click on the left pane, New>String value. Rename it as "plural" without quotes. 4. Set its value data to "1" without quotes by double click on plural. It takes effect immediately. If u r right, then u will come up something like this. For sake of simplicity, download this file to Desktop. Double click and answer yes.